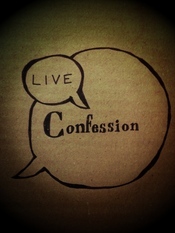 Live confession mit Leen Horsford. Here comes an exciting challenge. Wilde Pferde, an art collective who play with their various backgrounds and skills, will play the game and confess all… together. They are from all over Germany, all have an interest in the arts and are all up for being put in the hot seat. This time it won’t just be peering in to the childhood of one artist, but witnessing the dynamics and relationships between the characters as well. Dancers, musicians, performers, leaders, followers, perfectionists, experimentalists…who knows? Let’s find out, and to find out you’ve got to be there.